September is National Suicide Prevention Awareness Month. 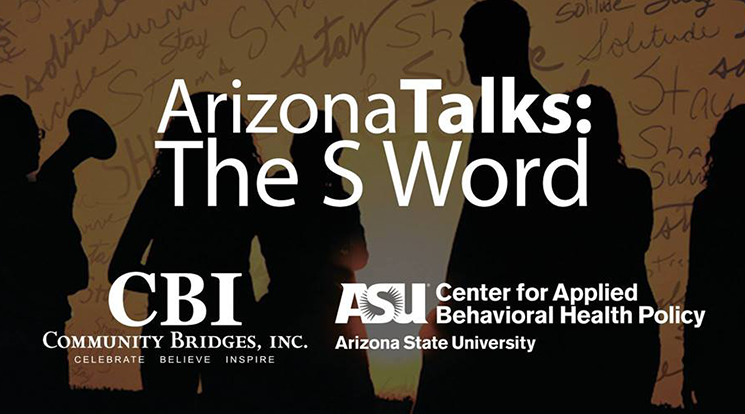 Community Bridges in partnership with ASU’s Center for Applied Behavioral Health Policy and Arizona Talks are hosting an educational event, which will feature some of Arizona's top speakers on mental health, suicide, and recovery. The event program includes; a resource fair, movie screening, and discussion on suicide, mental health, and recovery. The event is Wednesday, Sept. 26 at the ASU Downtown Phoenix Campus on the ground floor of the CABHP inside of the historic Concho Room.